Today is the age of technology, and when your computer goes down, your life goes down with it. It’s now part of our culture to do many things online: work, school, play, and bank along with any number of other daily activities. When you need computer repair, you need someone who is trustworthy, will do it right the first time, and complete it in the least amount of time possible. And that can be the problem, finding a reputable computer repair professional you can trust. Here are a few tips to help you out with this important choice. The best-case scenario for finding someone good at computer repair is getting a reference from a friend or acquaintance. It’s especially helpful if you can get a referral from someone who has used the computer repair service several times with exceptional results. If several people have had good results, there’s a good chance you will too. It’s important to know the type of device you have. Are you needing a PC, or a Mac repaired? Most specialists only work on one type or the other. Is it a laptop, tablet or desktop? Each type of device might have issues that are unique. Be sure to find a repair person who specializes in the type of device needing repairs. When it comes to working on computers, practical skill is more important than a certificate or diploma. However, there are certifications issued when individuals complete specialized training programs. Apple and Microsoft both provide certificates for technicians who successfully complete their software training. This at least demonstrates they have the teaching and self-discipline to learn about different types of devices. You can learn a lot about a professional’s work ethic and dealings with people by looking up testimonials. The may have a few on their website, but look at other sources too, such as Yelp! There are numerous places to find customer reviews. They can give you insight into how the computer repair specialist handles their business. 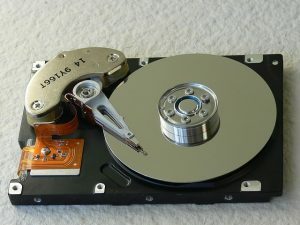 It’s better to go with a specialist who has hours and years of hands-on experience repairing computers. This cuts out guesswork, and poor work. Ask them how long they have been working on computers and how they keep up with the latest technology trends. The most experienced specialists usually attend classes or seminars to keep up with the latest information on hardware and operating systems. Online ads, fliers, full-page ads in the local newspapers are not referrals. They may or may not accurately describe the skills and knowledge level of a local computer repair shop. While these can be a source of useful information, it can give you a place to start. Using the contact information on the ad, call or email the specialist and discuss your situation. This will give you a very good idea of their capabilities, skills and knowledge level. How much is the hourly fee for fixing the computer? Will you be able to save my files, or at least try to? What if I can’t remember some of my access passwords? A professional will be glad to answer all your questions in a reasonable way. If they cannot, you might want to choose another shop to take care of your computer repair. Finding the right computer repair shop is important to getting it back up and running. Use these tips to find the one that is best for your situation.